The woman who has owned Camp Nabby since 1970 has died. We've been enjoying some fine times on the lake. Hockey, fishing, big long skates to the island house. And nature's Zamboni came through to boot. Be careful out there boys and girls. Nearly five years of living on the lake's edge, it's hard to not to hear it and to love it. As the lake freezes, it makes crazy, ray-gun-type noises. Alien. I think it's due to the cracking of the ice. It's a wildly fluid membrane structure, ultimately, no? We should all give a big-up to mother nature for her natural Zamboni effect. At any rate, I stomped through the ice at the edge and we have 2-3 inches. This amazing cold we're getting should assure us at least a safe 4" of clean, clear ice by Saturday. To skate on! Will pull out the auger on Saturday morning. Ice growth chart courtesy of this fine website. 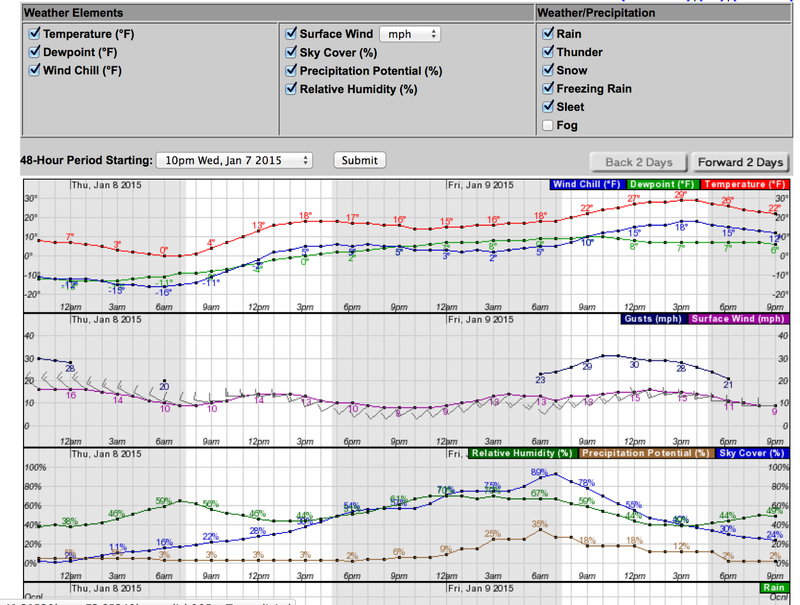 Hourly weather graph provided by the National Weather Service. Yes, it is on. The lord has truly blessed us; just be careful out there, because god has plans. 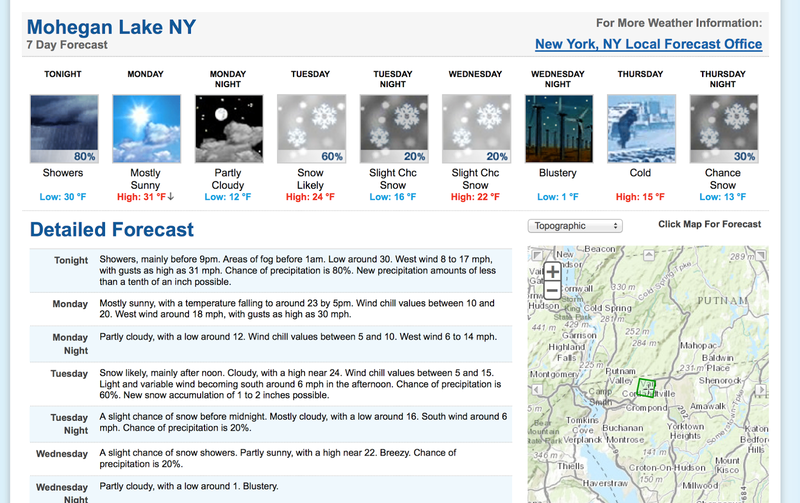 I predict we have 4 inches of clean, clear ice by next Saturday. Me and the girls just got our blades sharpened at Bear Mountain after Thanksgiving. Labels: Baby it's cold outside, Booyah, Third Annual Mohegan Lake Ice Fishing Derby and Skating Extravaganza!